If one can believe the social media world, Team China should have already qualified for World Cup 2018. Even though the AFC has only just announced the draw for the eight groups, which is only the secondary stage of a long long qualification process for the Russian tournament. In the same week Team China played against Australia in the quarter-final of the Asian Cup, more financial news related to Chinese international investments in football came out: three European acquisitions, as well as Guangzhou Evergrande FC’s purchase of Brazilian international players. Not many people had expected that Team China would qualify for the second stage of the Asian Cup held in Australia, after just two group matches. On the contrary, before the tournament started, quite a few journalists who have covered the national team for a long period, were joking about coming back home after those two matches. In the second to last round of the 2014 CSL season, Beijing Guoan FC went to Guangzhou to play defending champions Evergrande, Before the match, Beijing had 63 points, Guangzhou 69 points. A draw would secure the fourth consecutive title for Guangzhou. Ma Yun and his company Alibaba, have arrived on the world stage. The company’s blockbuster IPO in New York on September 19 turned the company the second biggest internet company in the world. The evaluation of the company surpassed $220 billion after the first day on the market, for the following several days, even though there was a reasonable fall in its price, it still worth more than $210 billion. Alan Perrin started his career as the head coach of China national team formally, and played two friendly matches during the FIFA international match week. China didn’t lose these two, which were a victory against Kuwait and a draw against Jordan, both played at home. The Frenchman’s first mission will be taking Team China to next year’s Asian Cup held in Australia. Just in the middle of the noise of Wang Jianlin’s potential purchase of Southampton FC, another piece of news related to The richest man in China and CFA (China Football Association) came out. 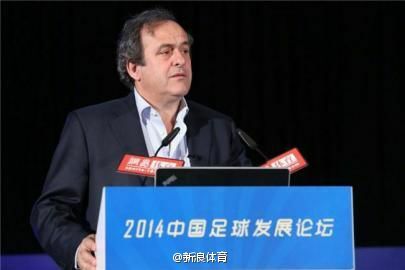 On January 21, 2014, the National Congress of CFA was finally held in a small town outside of Beijing. A new generation of leaders of CFA was elected by raised hands, and Wang Jianlin was appointed as the Adviser of CFA.